4 brilliant rappers from Lagos state University took on a mic to display their unrivaled talents on a Cypher. 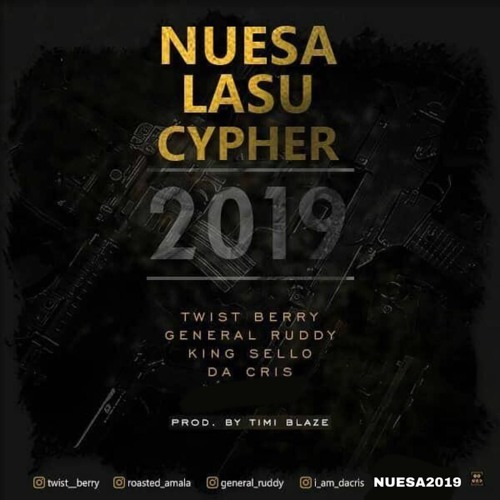 The Cypher featured: King Sello, General Ruudy, Da Cris, and Twist Berry. The Cypher was skillfully initiated with King Sello starting the intro with a 2pac kinda flow as well as an electrifying first Verse... The second rapper on the Cypher General Ruuddy displayed exceptional skills with the delivery of flawless punchlines that would have u thinking deep. Da Cris came in with a classic Yoruba flow and murdered the mic with classical idioms and adages that would sweep you off your feet ! Twist Berry did not let the boys out do her as she sealed off the cypher with Lyrcial bullets n fine word play. She's seemed very confident on the mic and her delivery was flawless !